Trion Worlds, creator of Defiance, has announced plans to make the game free-to-play. 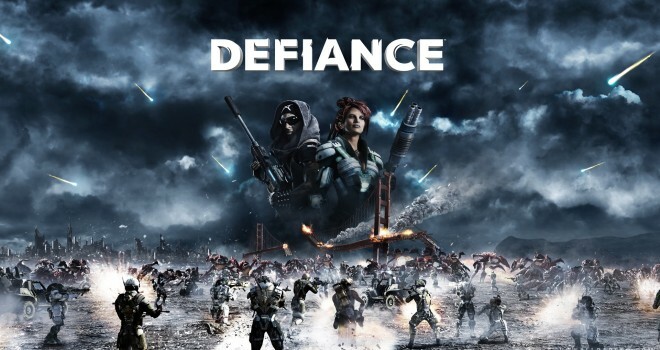 Starting on June 4 for PC, players will be allowed to download Defiance for free. Xbox 360 and PlayStation 3 players will be able to play for free sometime later in mid-July. The change definitely seems like it’s being made to attract more new players, Trion will unlock a nice reward system for existing players, including more character slots, loadouts, ark keycode capacity, and inventory slots than the free-to-play accounts. Though all players who have purchased a boxed or digital copy of Defiance will earn 1,000 Arkforge, which are used for upgrading weapon power ratings, resetting weapon mastery, or enhancing an uncommon weapon to epic rarity. By the way for any of you who may be worried about games micro-transactions, Trion included a comment on the Defiance community page, specifically stating, With RIFT, ArcheAge, and Trove, our free-to-play policy is simple: ‘No Tricks, No Traps’ — and you better believe Defiance will follow that mantra as well. That means we aren’t designing Defiance in such a way where spending real-world money in the game’s store is necessary to progress or to win. Look forward to free crossover content throughout Season 2! With that being said I’m definitely excited to see how this all unfolds June 4th.